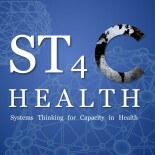 I will be moderating a conference call sponsored by the APHA on Systems Sciences and Health Systems Strengthening. on October 18. See here for details.